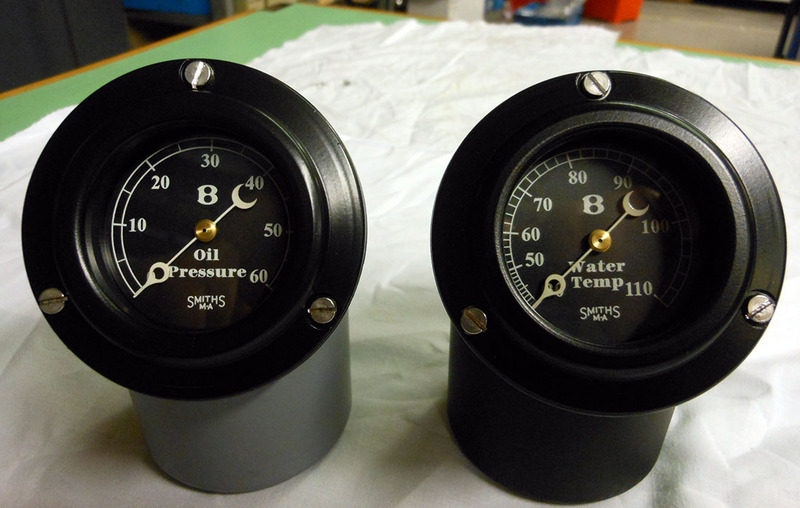 Bentley Replica Gauges – Water Temperature & Oil Pressure. 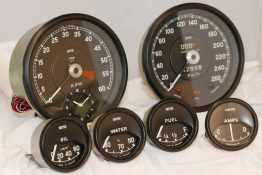 These Bentley replica gauges were built completely from scratch by a skilled instrument technician. 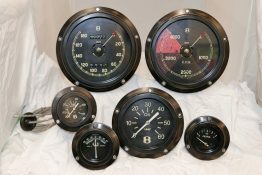 Custom made artworks produced for the instrument dials. 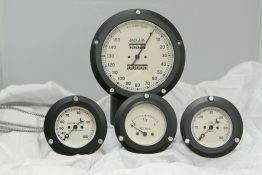 You can also, view our Jaguar and Ferrari range on the replica gauges webpage. 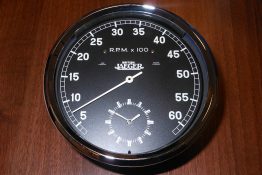 Jaeger Chronometric Tachometer with Time Clock has been replaced with a modern day reliable electrical movement and quartz movement. 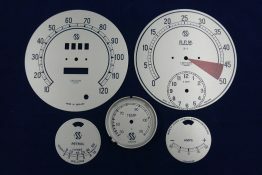 Buick Fuel & Oil Pressure dials had started to disintegrate and therefore, required reprinting in our artwork department. 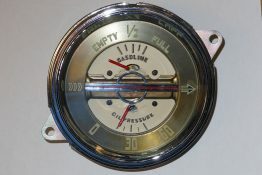 The original bezel was sent for chroming, case plated and the pointers painted red.